Cleaning wine glasses and decanters has never been easier! Our ‘Restaurant Crystal Clean’ provides exceptional results, no more dirty marks or lines on your glasses once they’ve been ‘washed’. The RCC is ultra-concentrated and gone are the days of cloudy wine glasses! 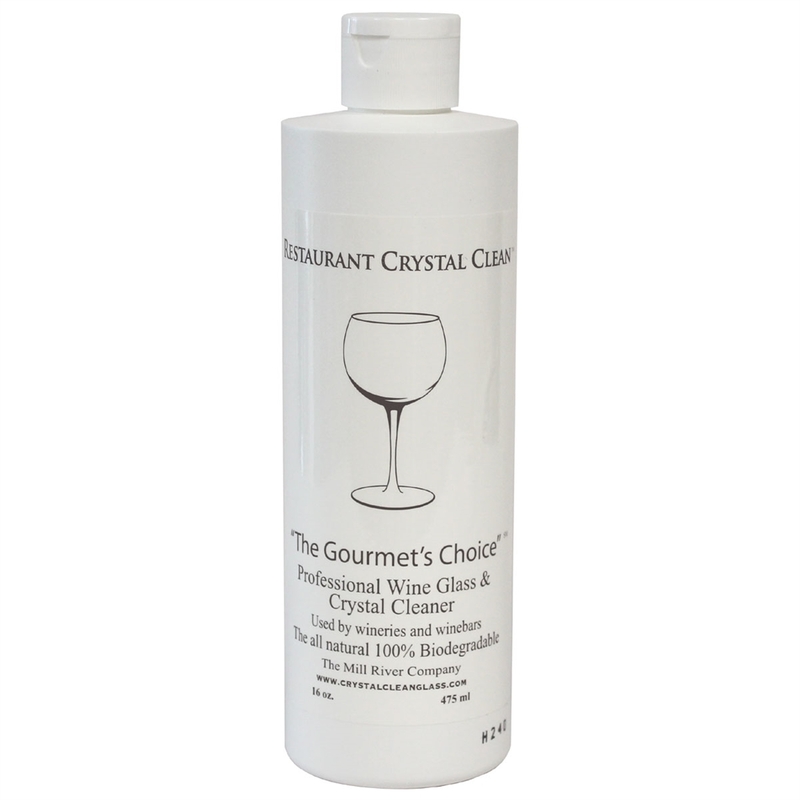 Restaurant Crystal Clean is made from entirely natural ingredients, derived from plants and salt. The crystal clean is exactly that, it provides crystal clear and unscented glasses and decanters. The liquid contains no solvents, no harsh chemicals and is completely biodegradable, it leaves no taste or odours in your glass to adulterate your wines. Simply add half a cap full into the dishwasher or glass washer, or if you’re washing by hand, one drop per glass will work adequately well. Now enjoy the full flavour and aroma of your wines with crystal clear glasses! 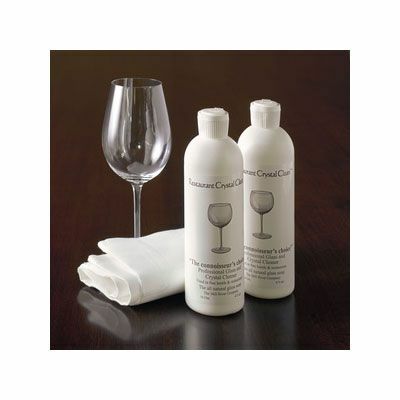 Also available in with Glassware Cleaning Sets with both the Large & Medium sized Wineware Cleaning Glass Cloth. "We can’t believe the difference - Restaurant Crystal Clean makes. We serve a lot of very fine wines. Does everything it says. Very concentrated. My crystal is sparkling again. Very pleased. Minoo, Leeds. First class. Used in conjunction with the Cleaning Balls. Sparkling! Good effective product, quickly delivered. Seems to do the trick, glasses come out great! Washing efficiency first class, but the really staggering effect was the huge reduction in polishing time and effort. Will. Excellent product which is extremely useful.